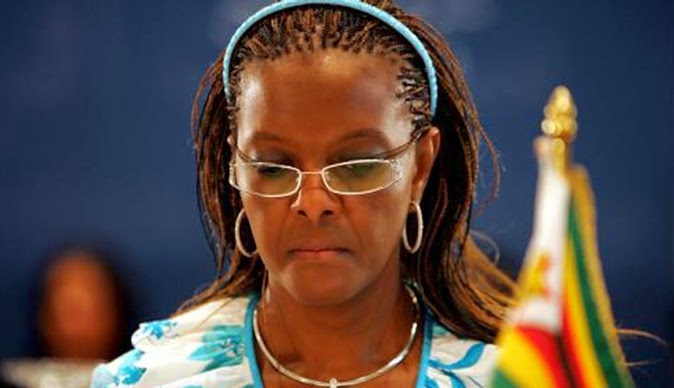 First Lady Doctor Grace Mugabe says her husband, President Mugabe is a very religious man, a ‘Pastor’ who loves Zimbabwe so much that he prays for it everyday. The Doctor is seeking the support of churches as she gears up for the top post in the Zanu PF Women’s League. President Robert Mugabe’s wife told church leaders at her Mazowe Children’s Home Tuesday that she needed their “prayers” so that she be bestowed with wisdom as she begins her new career. She told pastors at her Mazowe Children’s Home that she is married to a chosen man from God. Grace said her husband who has been compared to the biblical Moses by his fawning praise singers was an ardent believer in God. The First Lady described President Mugabe as a “pastor” and told the pastors that despite the country’s economic and social political challenges, the first family has seen it through all because of prayer and fasting which she herself has spearheaded to give emotional and spiritual help to her husband. Church leaders drawn from the country’s 10 political provinces gathered to “wish her well” in politics and congratulated her for attaining a doctorate with the University of Zimbabwe. The First Lady is holding rallies dubbed “meet the people rallies” where she is outlining her vision as the new women’s league boss, taking over from Oppah Muchinguri, ahead of the party’s congress in December. The church leaders under the banner of Pastor’s Fellowship said the rise of the First Lady to the political landscape would transform the welfare of ordinary women as well as the less privilege as she has already shown her compassion for under privileged children at her Mazowe children’s home. In their requests to the First Lady, the church leaders said they wanted to be considered for farms and be given stands for residential purposes so that when they retire from ministering, they have shelter already. In her response to their request, the First Lady said she would take their pleas to President Mugabe in return for them and their families joining the ruling party. “I have heard your request, I will take it to relevant authorities but I have one condition, I am now the women’s league leader, and my task is to grow the membership of the party. I, therefore, have a small request that I want you to do for me, go and buy Zanu PF membership cards. Is that not fair?” she asked, to applause. She pleaded with church leaders to also pray for the country. “I see people when they go outside the country, they talk bad about their country, and they don’t love their country. It is your duty as the church to teach these people to remove low self-esteem,” she said.